In honor of the official Breast Cancer Awareness Month — even though we should be thinking about a cure every day, regardless — Beauty News NYC invited Fighting Pretty founder Kara Skaflestad to sit In the Hot Seat. As a breast cancer survivor, she understands that women who are battling the disease still want to look their best. And there is absolutely nothing wrong with that. 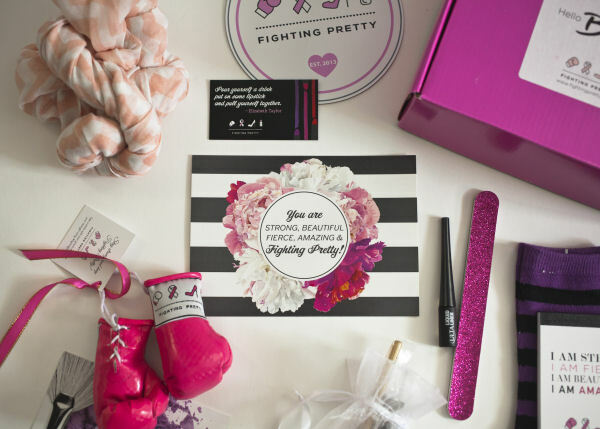 Fighting Pretty is a non-profit organization that organizes and sends “Pretty Packages” to women battling cancer. The packages include beauty products and inspirational items. 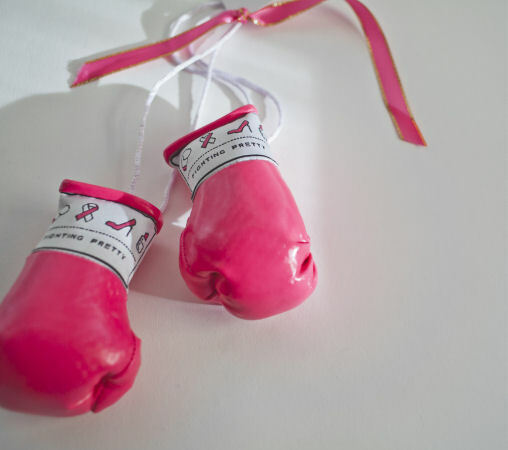 Each package features mini pink boxing gloves, reminding recipients to never give up and to keep fighting. The packages boast products from a vast array of brands, such as Julep, Maybelline, L’Oreal, Red Apple Lipstick, Biossance, and others. BN: What is Fighting Pretty’s Mission in 140 words or less!? 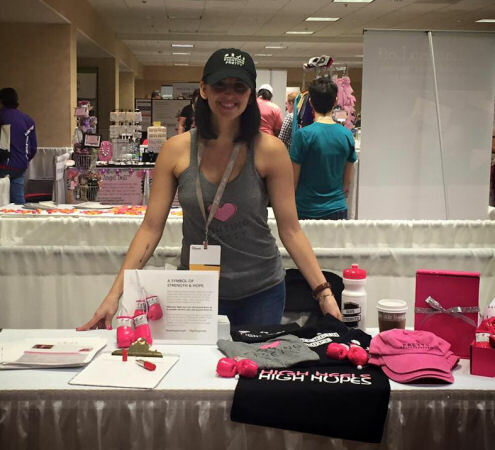 KS: Fighting Pretty is on a mission to help women battling cancer feel strong and beautiful. We send Pretty Packages full of beauty and inspirational items to empower women to remember how strong, beautiful, fierce, and amazing they truly are! BN: How would you respond to the ridiculous notion that women who are battling cancer aren’t thinking about makeup or looking their best? I would give tips to other women on what to wear, how to tie a scarf, and put on makeup. When women diagnosed with cancer and faced with treatment, there is an emotional journey they go through. They may lose their breasts, their hair, their eyebrows, eyelashes, and have scars. The things that make them feel like a woman are either taken away or changed. Though it’s not the lipstick that will cure their emotional distraught, it’s the idea that they want to make themselves feel beautiful. So although women aren’t necessarily making makeup a priority during their cancer treatment, we at Fighting Pretty encourage women to try and let themselves feel beautiful to help empower them to feel strong! BN: How do you edit what products go into the Pretty Packages? 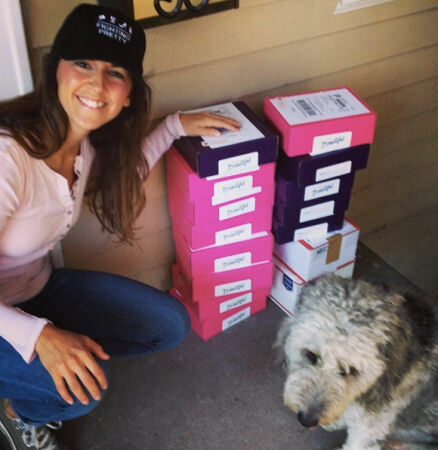 KS: We rely on donations from individuals and companies to help provide the products that are in the Pretty Packages. Right now, we’re working with many brands, including Julep, Ulta Beauty, Revlon, L’Oreal and Biossance. We also always include a pair of mini pink boxing gloves, a journal, and a scarf. I received a pair of mini pink boxing gloves by by best friend’s mom (another survivor) and hung them on my bedpost every day to remind myself to stay strong and fight! I passed them on to another fighter, who also passed them on! So we include this story in each Pretty Package to provide hope to the recipients of the Pretty Packages and encourage them to pass on their gloves when they, too, are ready to pass on their strength! BN: Having fought your own cancer battle, how did makeup help or affect you in the process? KS: Bright pink lipstick was my go-to. When you go through chemotherapy, your skin changes, you lose your hair, and you feel like a bit of an alien. Again, the things that make you feel like a beautiful woman are taken away. But adding a bright color to your face, like hot pink lipstick, always did the trick for me. It gave me the confidence I needed to stay strong and to remember that hair or no hair, breasts or no breasts, I was still me. And I was beautiful. BN: What is one thing you’d like to say to women battling breast cancer? KS: Breast cancer is hard, and there is nothing you can do to control what will happen. But you have a choice to control how you feel. Help yourself to remember that you are an amazing, strong, beautiful woman and you can fight this! 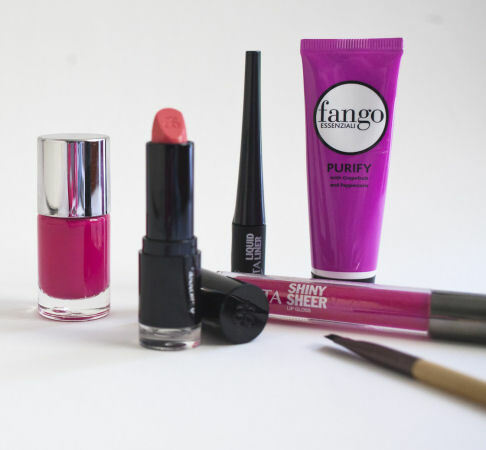 BN: The one makeup product you need in your makeup bag at all times? KS: You guessed it — pink lipstick! I think I have three different shades in my purse right now.